In 1890 in Butte, Montana, the Dumas Brothel was erected and specifically designed to be a brothel. It was still in operation in 1982, making it America’s longest-running house of prostitution. The Dumas was three-storied with the basement containing smaller rooms or cribs. The main level was composed of larger rooms and parlors while the third story contained larger rooms and suites and even a balcony with a sky light. It was designed with tall windows facing the street. The girls would sit in the windows so customers could examine the “merchandise” before going inside. In 1913, an addition was made to the rear of the house. It contained eight cribs, four of which opened to “Venus Alley” where hundreds of soiled doves plied their trade. The working girls stood in the doorways and enticed customers to come inside. Some of these cribs were equipped with call boxes for ordering drinks or food from nearby bars. In its heyday, the Dumas used 43 rooms and ran three shifts of girls. The miners in the area worked around the clock, so there were always plenty of customers. Tunnels were dug under the Dumas and connected to various areas of the town so that businessmen and city officials could indulge their pleasures in private. On February 8, 1955, the house madam, Elenore Knott, decided to leave the Dumas and run away with her lover and start a new life. However, her lover was a married man. On that fateful day, Elenore packed her suitcase and waited for her love, but he never showed up. She retreated to her room, number 19, and took an overdose of sleeping pills and alcohol. During her time as the madam, Elenore accumulated a lot of wealth including a Cadillac convertible, gold and diamond jewelry and a Harley Davidson motorcycle. After her death, none of these things were ever found. Since that time, the “working girls” of the Dumas and visitors (then and now) have reported seeing the ghost of Elenore Knott walking the halls of the brothel, suitcase in hand, waiting for a lover who would never come. Paranormal researchers have visited the Dumas and concluded that there are at least two spirits who inhabit the building. My historical western romance, Miss Lily’s Boarding House, is set in a house of ill repute in Texas in the 1800s. However, no ghosts inhabited “Miss Lily’s,” only lonely cowboys and townspeople. When heroine Grace Wentworth inherited the “boarding house” (another name for a brothel or bordello), she traveled west to claim her inheritance never dreaming she would find love…and danger. Her aunt’s mysterious past is reminiscent of Elenore Knott’s tragic demise, and it’s easy to imagine the drama that unfolded behind those walls. 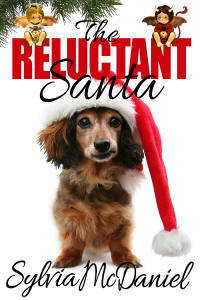 Miss Lily’s Boarding House will be released November 12, 2012, by The Wild Rose Press, and I hope you’ll check it out. 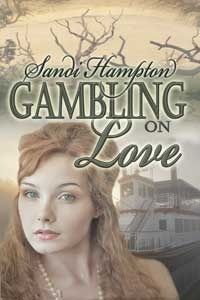 Leave a comment and you might win a print copy of my latest release Gambling on Love. About the Author: Sandi has been writing longer than she cares to remember. But her efforts finally paid off when her first historical western romance was published in 2008. Five more releases followed since then. Sandi’s debut novel with Champagne Books, Broken Promises, was released in July, 2012. Her short stories have appeared in New Love Stories Magazine, and several of her poems have been published in small press magazines and anthologies. Despite the fact that Sandi is a Florida native and has never lived outside of Florida, she loves everything “western” and her passion for the “Old West” shows in her historical novels. She resides in Tampa with her husband Howard of 32 years. She has four grandchildren and two great grandsons. What an interesting post. I love the paranormal and yes I believe in ghosts. Learn something new every day, have never heard of this brothel.